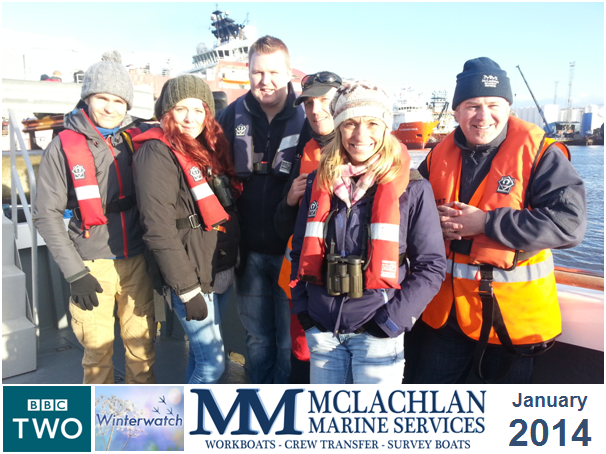 McLachlan Marine is well known for providing a reliable and safe crew transfer (water taxi) service over the last decade from Aberdeen Harbour to the ships anchored in the bay. MM vessels have capacity to carry up to 5 ton of cargo and 12 passengers. Vessels mobilise almost daily providing crew change launches to passing tankers & supply ships for the local agents. Since 2011, McLachlan Marine have offered workboats to survey equipment manufacturers and rental companies for calibrations and sea trials of client owed equipment. They have made significant investment in two innovative moonpool pole deployment systems on True North and Ocean Predator including a custom swing mount on the Ocean Echo, this makes the mounting of multibeam sonar, inertial navigation units quick, easy & safe. Our client base is spread throughout the UK who travel from all over to test and calibrate equipment on our vessels at Aberdeen. 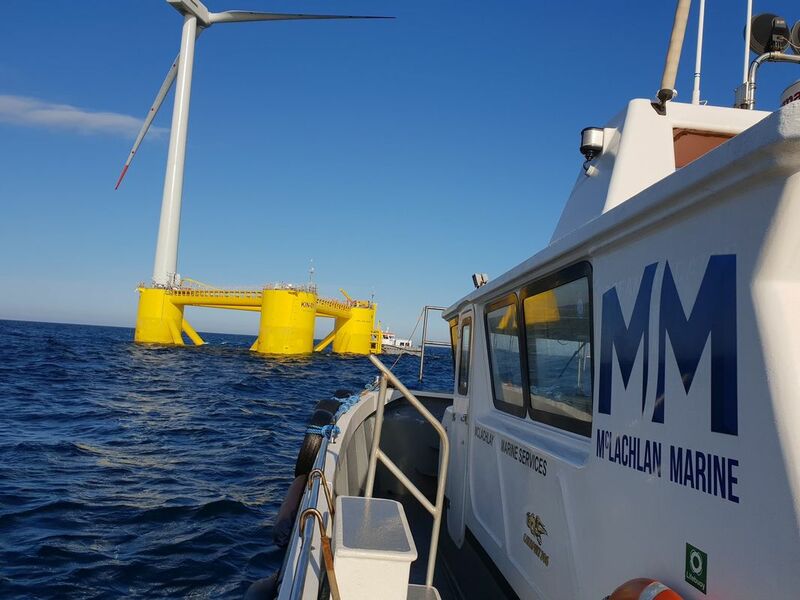 McLachlan Marine are marine support specialists providing turn key solutions for your project and have the infrastructure and project managers to provide additional services through our experienced partners. Our certified slinger/riggers, 20t forklift drivers, crane supervisors for lift planning and linesmen for barge works are experienced, trained and competent. McLachlan Marine ROV services provides ships thruster inspections, harbour quayside and outfall surveys. The VideoRay Pro GTO is small enough to access hard to reach areas recording and feeding video footage back to the operator. The ROV kit is fully mobile and can be mobilised onto any of our vessels or operated from a vehicle on the quayside. McLachlan Marine have delivered many successful inshore survey projects from unmanned ASV, shallow water, sub bottom to river inspection and visual surveys. McLachlan Marine can supply vessel and crew to work with your choice of surveyor or provide a full package through our trusted surveyors. 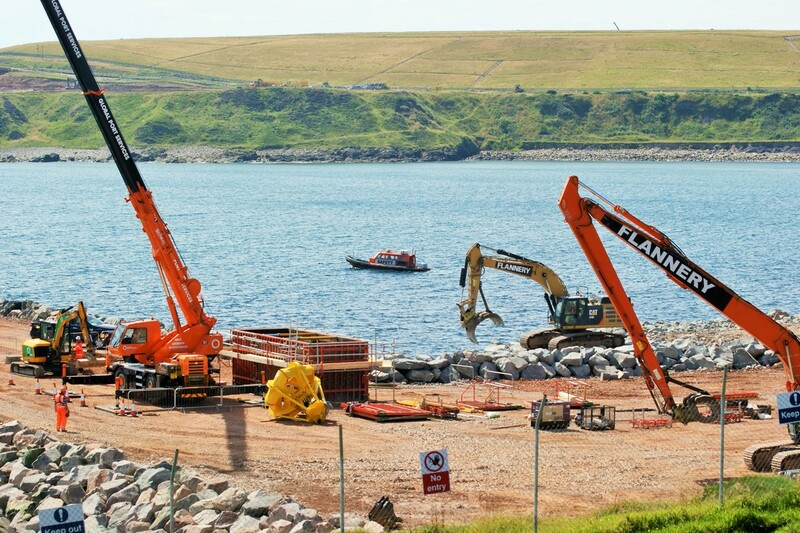 We are the preferred contractor for a number of large operators, local marine projects and government bodies based on our commitment to safety, infrastructure, accreditation and service provided. McLachlan Marine provided support during the installation and commissioning of the EOWDC providing specialist support through our Linesman teams, survey boats and crew transfer services to the LiDAR buoy. 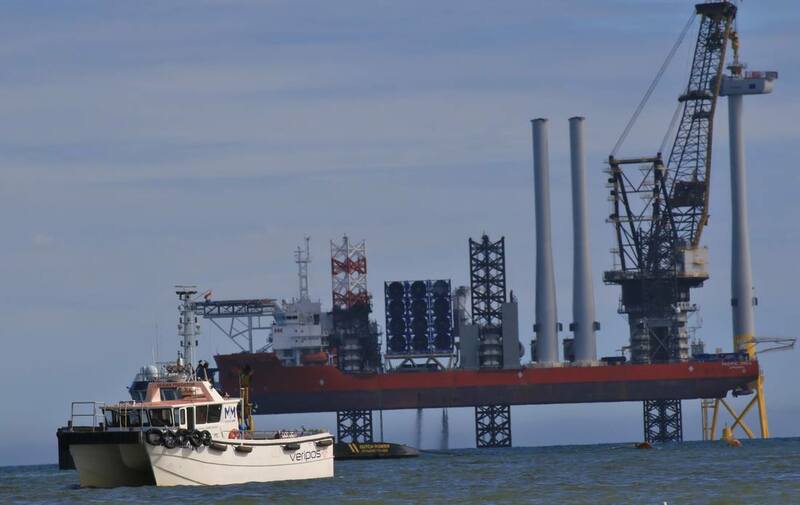 McLachlan Marine provided several services to the KOWL project from quayside setup, logistics, warehousing, through to local project planning support and a dedicated crew transfer vessel. McLachlan Marine was the preferred operator to supply 24hr safety boats and a dedicated multibeam survey boat for the 3-year project. Other services provided throughout the project: ROV Inspection works, Sub bottom profile of hard to access areas, Marine Safety/Marine Control. We were chartered by the BBC to Filming a short piece focusing on Peterhead and its two main industry's fishing & oil & gas. We managed to grab a quick picture at the end of the day before they left. Filming of the Dolphins at Aberdeen Harbour during salmon season for the One Show, this piece was focusing on how industry (shipping) affects the life's of the dolphins who spend most of the year at the entrance to Aberdeen Harbour. 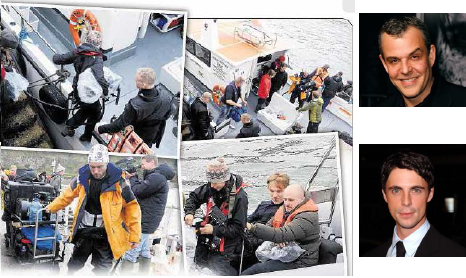 "The Dolphins and Industry seem to co-exist peacefully together in this part of the country"
We had a week of fun filming at Stonehaven with the crew the all star cast for the film Pressure. We provided safety boats, filming/chase boat and dive boat. 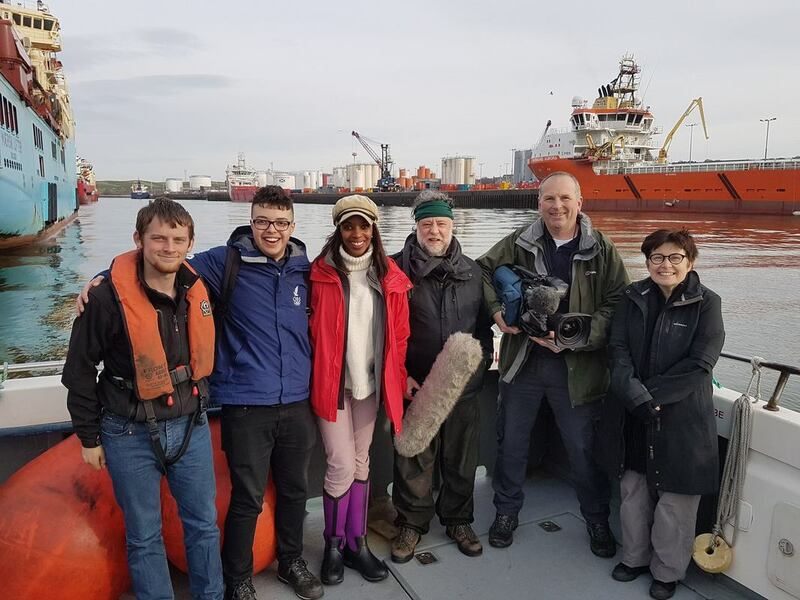 We were joined by the BBC crew and Doug Allan on our Stonehaven boat "Lady Gail II" to film part of a documentary about his life. 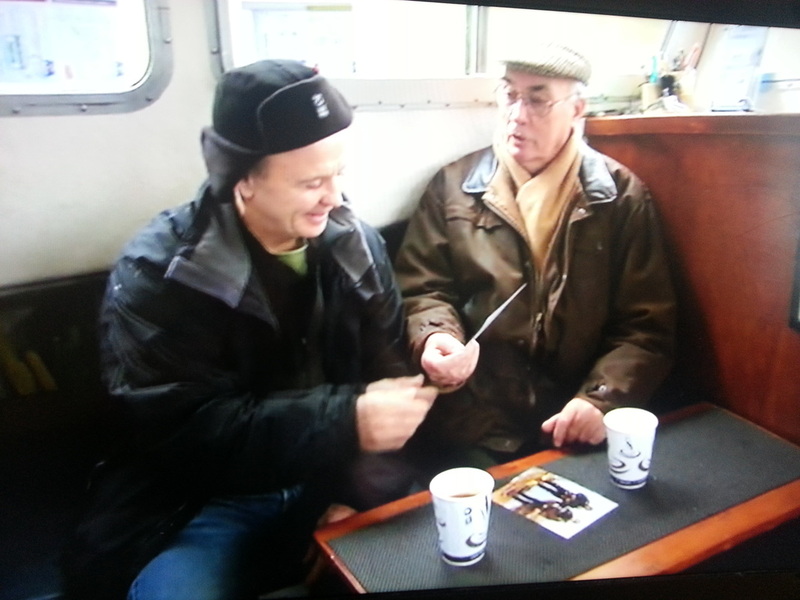 We had a great day filming the dolphins aboard our Ocean Predator with the BBC Winterwatch crew and Michaela. Michaela said our catamaran was a perfect filming platform unlike standard boats and was impressed with the layout, space and facilities. 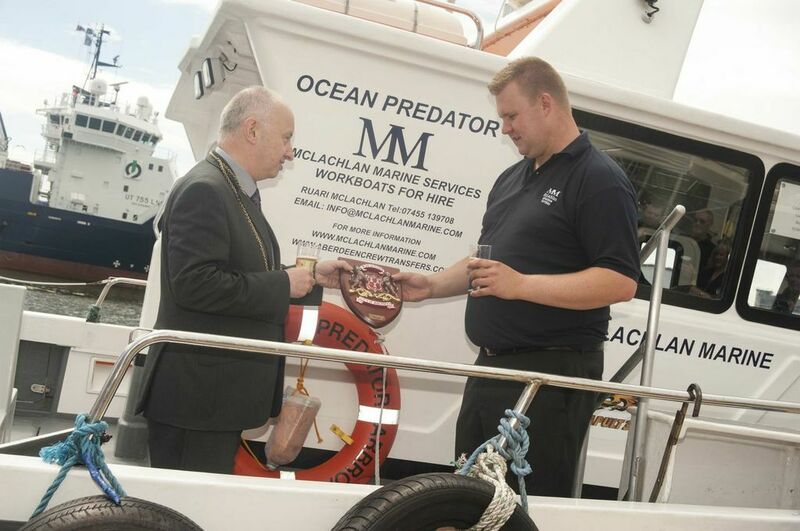 On the 29th July 2013, we were joined by Aberdeen's Lord Provost and 25 of our customers to celebrate the launch of our newest vessel the Ocean Predator.